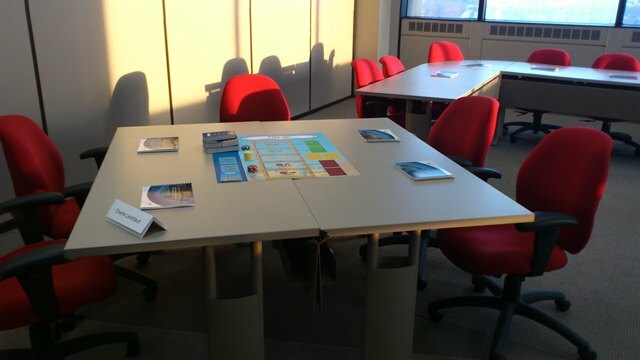 We’ve just finished setting up the classroom for STEP UP!™ – our learning game/simulation of change management. 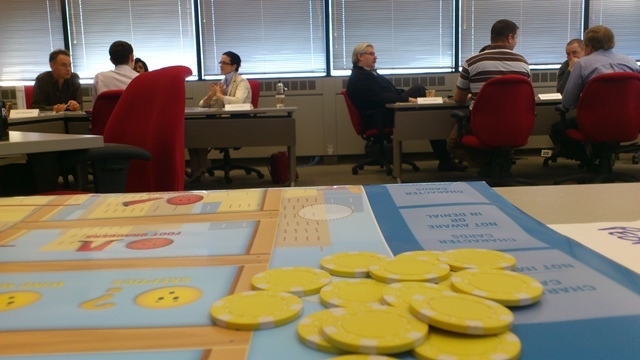 Today, we will have 19 participants organized in four competing teams. They will walk in the shoes of Giorgio Catalyst, who just moved from Milan to London to start a new job: Director Change & Technology for Korbus UK – a division of Korbus Global. He reports to UK President Tom Newhead. Giorgio’s mandate is to drive a major transformation at InfoBiz, the large business unit headed by SVP Antony Fiefdom. 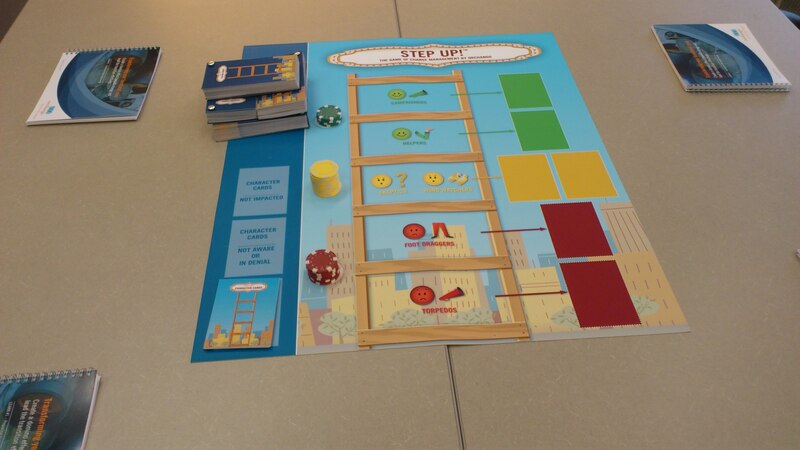 Like in the real world, there will be plenty of obstacles, office politics and twists: that’s because everything in STEP UP!™ is based on a real case!! How will the players pull it off? Which team will come out on top? Click here for more information about STEP UP!™.